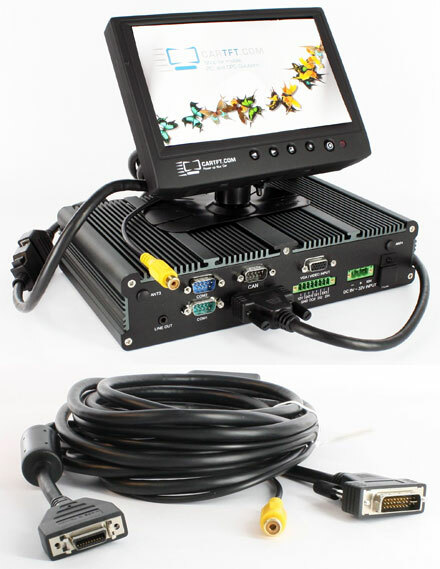 With this cable you can connect our TFT-displays directly to the DVI-port of the FleetPC-5 car-pc system. Through this connection we serve VGA, Touchscreen USB, power, audio. The seperate Cinch-video-input can be used eg. for an rear view camera. The CFI-A7879 enables you to build a NAS-system (eg. with FreeNAS) on Mini-ITX basis. 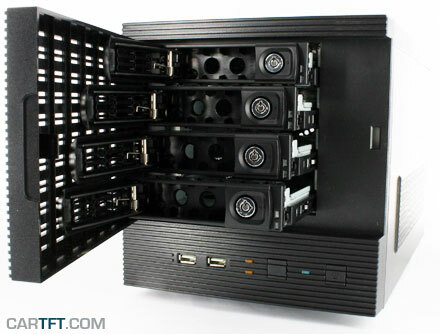 The enclosure offers 4x Hot-Plug SATA 3.5″ drive bays and an internal 2.5″ slot for the system drive. 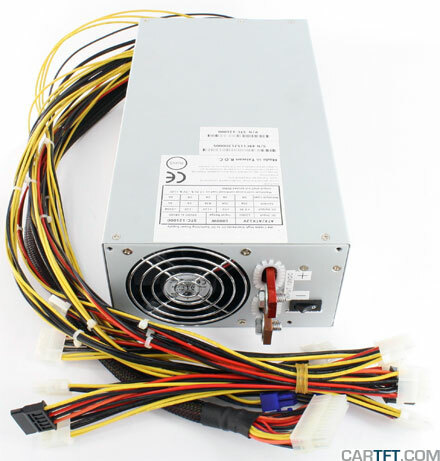 The internal 200W PSU offers enough power and the free PCI-slot on the rear side allows further expansion. With the new 1kW Automotive ATX power supply you now also can power “bigger” PCs in your vehicle. Better too late than never. Intel launched the new Atom-series „Cedar Trail-D“ later than expected, but the performance is able to convince us. The new series is starting with 5 models. That’s a record ! Seems Intel wants to address a wider target group. Basically we can compare these 5 boards by their CPU. The more cheaper models D2500HN and D2500CC are equipped with the Atom D2500 CPU (2x 1.86Ghz) without Hyper-Threading, the models D2700MUD and D2700DC with the Atom D2700 CPU (2x 2.13Ghz) with Hyper-Threading. A bit special is the successor of the half-height board D945GSEJT : DN2800MT is equipped with a „Mobile“ Atom CPU. It’s a N2800 (2x 1.86Ghz) CPU with Hyper-Threading. You however will find no difference with the chipset. Just like the previous boards (D425KT, D525MW) the “NM10 Express Chipsatz” is used and all boards have to be equipped with SO-DDR-3 RAM. Most innovations are found on DN2800MT. The board has support for Z-U130 Flash Drives, TPM, Mobile SATA SSD and ExpressCard/34. The onboard power supply accepts 10-19VDC input. As a first-timer you will find HDMI output on DN2800MT and D2700DC. And the D2500CC-board has a second LAN-port.